Starting today you can get $10 off a pair of adult jeans at Target. 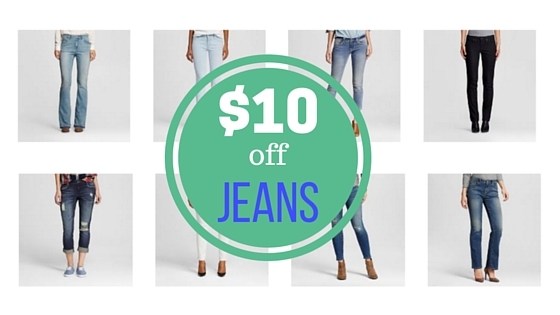 Head in to your local Target and try on a pair of jeans and you’ll get a coupon for $10 off. If you don’t want to head in, you can also use code TRYON10 to get $10 off online. Most styles of adult jeans are on sale starting at $24.99, so after the coupon you get a pair of jeans for $14.99. Not a bad price! See all the other deals at Target this week!